In 2018, the doors of IV10 opened to a warm welcome from Highland foodies who enthusiastically embraced our new cafe, bar and deli situated in the village of Fortrose on the Black Isle. Returning to Scotland after living and working across the world, owners we have created a place to suit anyone who enjoys tasty, uncomplicated food, made with love and respect and served in a welcoming atmosphere. IV10 is open every day from 10am. Freshly baked cake, artisan coffee and a selection of fine teas are served throughout the day. Lunch and dinner menu's offer a range of delicious dishes. A selection of small plates takes inspiration from around the world, while the daily market fish dish, Black Isle rib eye steak and ever-changing seasonal and classic dishes champion local produce and suppliers. Vegeratian and vegan dishes are always available. IV10's sharing boards, available all day, are a considered selection of charcuterie, cheese and chutneys, while a carefully curated list of wines offers the perfect accompaniment to your meal. Keeping IV10 cosy, the wood-fired oven at the heart of the kitchen is where authentic hand made pizza are baked to order. During the summer the secluded garden tucked away behind the building is perfect for a long lunch and is dog-friendly. Allowing you to take a little of IV10 with you, the deli shop offers a range of goodies, wine, beer and spirits to buy - many by local and regional producers. 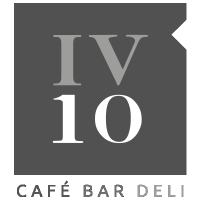 With an exceptional team of experienced chefs and knowledgable staff, IV10 has quickly established itself as a vibrant hub of the community and a go-to destination for visitors to the area. We stock a wide variety of the finest local, regional and international produce.We like to form lasting relationships with our suppliers. We would love to hear from suppliers who care about the quality of the produce they rear, fish, grow and forage. To find out how we can work together please get in touch.